Y’all should give up on the football thing. Goff looked just like Brees on that INT. You should be happy. I've enjoyed every one of the aints melts these past 2 weeks. Especially yours, where you were so triggered you posted a melt on the poli board. Glorious watching the Patriots win in Atlanta. How’s it feel to know you will never win a SuperBowl? Do I need to post the fricking gif? I guess I forgot to start some shite on the food board. The Poli board was a good point. You built a new stadium and we’re given your chance. Are you retarded? 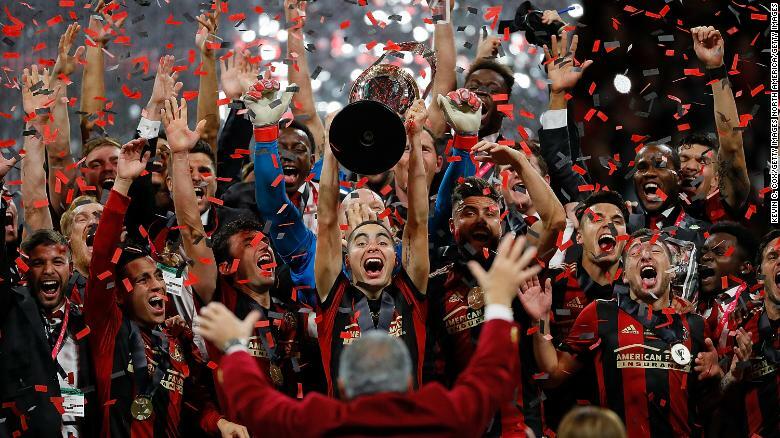 What did Atlanta blow? It went off without a hitch. I know it just seemed kinda off all night, I was down there running Uber and Lyft and it was surprisingly not busy. Traffic in the Midtown/Downtown areas flowed pretty well, and didn't hear about any hiccups with MARTA around game time. quote: You built a new stadium and we’re given your chance. It’s common knowledge that the NFL will let you host a Super Bowl if you build a new stadium and give you “a little” help to get to the Super Bowl. Also the SuperBowl you hosted was the lowest rated in 10 years. Won’t even talk about the douche halftime show. You must be very young and missed out on the 46-10, 55-10, 42-10 etc. etc. from years ago. BUT, assuming you are right, so what?